The Unexpected tread where mortals fear to walk! 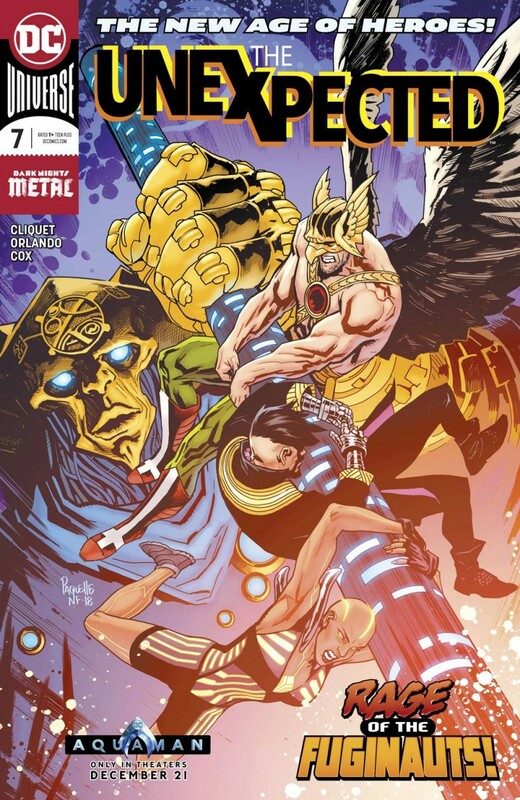 Neon the Unknown, Firebrand and Hawkman unwittingly discover the birthplace of the Nth metal isotope, but there’s a catch: it exists outside the Multiverse in the dead world of Nil, guarded by one of the Tempus Fuginauts, who has already passed his guilty judgment! Someone must die for trespassing into Nil-and the Unexpected must be the ones to choose who lives and dies! What happens next in the archaeology of the Multiverse?